As your newly elected Mobile County Republican Party chairman, I want to thank you for your interest in our party. From the courthouse to the statehouse, Mobile County Republican officials are working hard on your behalf each and every day. I encourage you to take part in the many Republican activities available in our county. There are College Republican chapters at local universities and a Young Republicans organization. We also have strong clubs such as Azalea City Republican Women and Knollwood Republican Women. 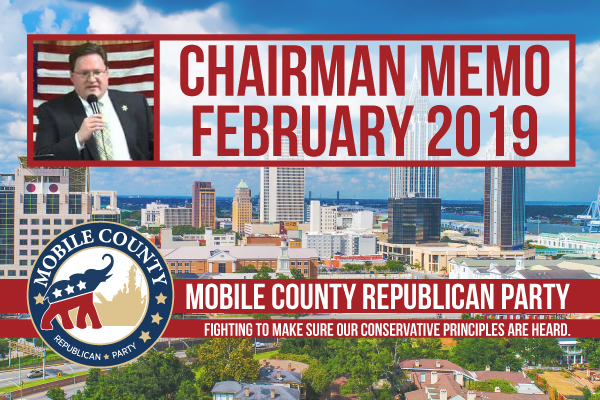 Please contact us via our website at www.mobilegop.org to learn more about becoming involved in the conservative movement in Mobile County.